Ammonia has been a leading refrigerant in the industry as the legacy refrigerant. However, when there is a potential leak from the typical 700-1000lb ammonia refrigeration plant – the fatal conclusion has operators, operating boards, and fire departments across the country looking for an alternative to reduce their liability, improve employee safety, and find a solution to their hazmat concerns. As often typical, safety concerns are tied to environmental concerns. History has proven one is always connected to the other. 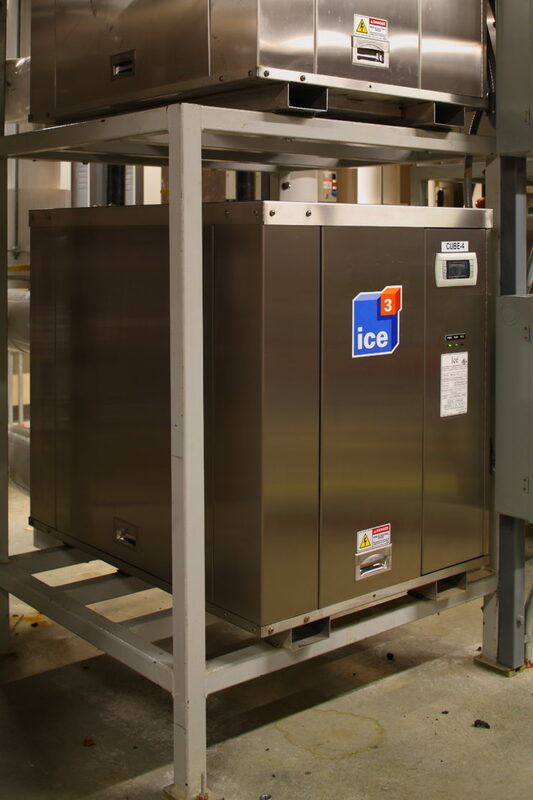 To mitigate these lethal and environmental concerns and move commercial refrigeration into a new era, Emerald Environmental Technologies has chosen to use a CFC (R410-A) refrigerant in their ice3 Cube Systems. Furthermore, Emerald Environmental Technologies has reduced and contained the R410-A refrigerant to less than 20lbs per ice3 Cube, an impressively low charge. Because each ice3 Cube is under the hazmat required maximum of 25lbs, they effectively eliminate the need for hazmat measures such as a foam sprinkler system, an alarm system, hazmat equipment, specialized exhaust systems and a nervous fire department are all avoided. Case studies over the years have shown we can achieve the efficiency of ammonia without the risk by using Emerald Environmental Technologies’ ice3 Cube Systems – Phillips Academy, Boston College, Deerfield Academy, Colgate University, and others, have already made this change.